4. Answer 11 questions posted by the presenter and ask 11 for your nominees to answer. 5. 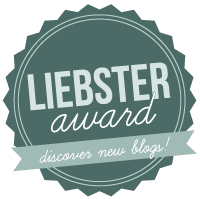 Nominate 11 bloggers who you feel deserve this award and who have less than 1000 followers. 1. My parents have two golden retrievers that I wish I could steal and bring with me on my trips! 2. I have been fortunate to have some great internships at NASA, Lockheed Martin and General Mills which have opened so many doors for me. 3. With the Notre Dame choir, I had the opportunity to sing for the Pope at the Vatican. What a great experience. 4. I love to read Young Adult novels – I usually pick them up over anything else. I just finished The Fault in Our Stars and I am going to start the second Divergent book. 5. I love Australian television shows and it inspires me to travel and, maybe, move there. 6. My family and I are obsessed with the TV show, Big Brother. We will all watch it in different locations and then will talk about it over the phone. 7. I still don’t know what I want to be when I grow up – and I recently decided that it’s OK.
8. My favorite dish to cook is risotto and I love fruit salad. 9. I am not very artistic – I can’t even draw a straight line. 10. I am obsessed with cupcakes. I try to find and try all of the local cupcakes shops from the places I travel. 11. I have over 10 different chapsticks all over my apartment, car and bags. I have to keep my lips hydrated! Do you have a favorite Bible verse? If so, what is it and why? Yes, 2 Corinthians 12:9-10. “But he said to me, “My grace is sufficient for you, for my power is made perfect in weakness.” Therefore I will boast all the more gladly about my weaknesses, so that Christ’s power may rest on me. That is why, for Christ’s sake, I delight in weaknesses, in insults, in hardships, in persecutions, in difficulties. For when I am weak, then I am strong.” During the summer before my junior year of high school, I went to a retreat where this bible verse was the theme. In the years since, I have learned that when I feel like I am at my lowest moment, I am learning about myself and how to overcome the weakness. By doing this, I can become strong and become a source of strength for others. What is your favorite season of the year and why? – I really love the fall for a couple of reasons. First and foremost, it is football season and I love to cheer on my Irish! I love the banter that goes along with football season and Fantasy Football – it is just a really exciting time! I also love the anticipation of the holiday season and getting to spend time with my friends and family. I can’t say this anymore, but when I lived in the Midwest, I loved the changing of the leaves in the fall, as well. What is your favorite color to wear? – I love to wear a lot of bright colors, but I would have to say my go-to is blue. I also wear a lot of black for work because it is neutral and works for my office, but I love wearing colors! What is your favorite book or magazine? I recently read The Fault in Our Stars by John Green and I loved every page of it! 😀 I have a magazine obsession – I love all fashion and beauty magazines and am subscribed to more than I can consume! If you could travel to any destination in the world what would it be and why? There are two locations that I am dying to go to. First is Australia because I really hope I would be able to hold a koala and I think I would love the culture over there. I am currently working on saving up to head over there for a few weeks. My ultimate dream location would be to go to Bora Bora and stay in the bungalows that are over the water. All of the pictures I have seen are absolutely gorgeous and I would love to experience that beauty first hand. Where and when was your favorite vacation? – Hmmm, this is a hard one. I have been so blessed to be able to go to some amazing places! I think my all time favorite vacation was when I went to London two years ago with my Mom to celebrate my graduation from college. We stayed at a family friend’s flat and went to all of the tourist attractions. And I got to spend a lot of quality time with my Mom! What do you like to do in your free time? Hobbies? – I love to cook. It helps me to feel relaxed and I love the process of making my own food. I eat out so much because of all of the travel, so when I get to make homemade food, I absolutely love it. In addition, I love to practice yoga and go to group fitness classes. I am always inspired to work harder and push myself to my absolute limits. Most of all, I love to spend time with my friends and family – they mean everything to me. What or who inspires you? – So many things inspire me!!! It would take forever to name all of them. I love people who are passionate about something and they inspire me to love things. Do you have a favorite restaurant to type of food? – Right now, I like everything that is home cooked. It just tastes so fresh- I am serious, it can get old to eat out all the time. I am also a firm believer that food cooked with love tastes better! What is your favorite type of music and favorite artist? – I used to not like it, but I am a huge fan of country music. My all-time favorite artist is Mrs. Kelly Clarkson. Ever since she was on American Idol, I have been a huge fan!! Why did you start to blog? – I was travelling for work and reading some other blogs one night in the hotel. I wanted to start documenting my travels and to capture my passions of the moment. I have always been a bit shy and felt that the Internet was a way to truly express who I am!! 🙂 I continue to blog because of the great community of women that it has provided me. I love reading comments from readers and finding out new products/websites you point me to. 1. What does a typical day look like for you? – A typical Monday usually starts around 4:45AM where I get up to catch a 7:15AM flight. I usually get to the client before lunch and work for about 8 hours. Work consists of many things; mainly working in Excel, answering e-mails, meeting with clients and creating PowerPoints and reports. Then we go out to dinner as a team. I usually end up getting back to the hotel around 9PM. Then I catch up on the blog and some TV and head to bed. 2. What is your favorite season? Why? –I really love the fall for a couple of reasons. First and foremost, it is football season and I love to cheer on my Irish! I also love the anticipation of the holiday season and getting to spend time with my friends and family. I can’t say this anymore, but when I lived in the Midwest, I loved the changing of the leaves in the fall, as well. 3. If you had to choose only one perfume to wear for the rest of you life, what would it be? – That’s tough. I love to change my perfume every few months, but I would probably wear an Escada fragrance for the rest of my life because it’s fruity and fresh! 4. Do you have a favorite topping for frozen yogurt? If so, what is it? – I love to go get fro-yo. It cools me off during the hot Houston summers. My favorite topping is Health Bar. 6. Do you have a favorite accessory? If so, what is it? – Currently, I love statement necklaces. I adore that you can dress up a simple T-shirt with these beauties. You also won’t catch me with out my class ring and a beautiful ring my parents gave me. 7. If you won the lottery, what would you do with the money? – I would pay off my car, buy myself a town home or apartment. I would provide my parents with something special (maybe a dream trip or house renovation) and I would give a lot to the charities that I support. Volunteering has always been a strong part of my identity and I would love to give some back to the Ronald McDonald House, Autism research and services and the Assistance League of the Bay Area. 8. What are some of your hobbies, other than blogging? –I love to cook. It helps me to feel relaxed and I love the process of making my own food. I eat out so much because of all of the travel, so when I get to make homemade food, I absolutely love it. In addition, I love to practice yoga and go to group fitness classes. I am always inspired to work harder and push myself to my absolute limits. Most of all, I love to spend time with my friends and family – they mean everything to me. 9. What is your favorite TV show of all time? – I love Grey’s Anatomy and love that it is still on TV. But, I think my absolute favorite show of all time is Saved by the Bell. I would get up early when I was younger to watch it before the rest of my family woke up. 10. If you were to change your first name, what would you pick? And why? – I would not change my first name. I love it! 11. Do you prefer planners, online calendars, or crazy post-it notes everywhere? – For work, I have to use an online calendar, but I am definitely a planner girl! This is my first year having my Erin Condren planner and I love it!! Even in school, I would always use a planner to keep track of my tasks and homework for each week. I have to write things down to remember them! 1. What was your dream job when you were a child? 2. What is one piece of advice you would give your younger self? 3. Do you have any pets? Tell us about them! 4. What is you must have makeup item? 5. What are your 5 favorite websites? 7. What is your drink of choice? 9. What was/is your favorite class in school? 10. If you could meet one person (dead or alive) who would it be? Thank you again to Carrie and Karen for the nomination! This processes has been a blast! I hope my nominees have as much fun as I did! I hope y’all had a great weekend celebrating Mother’s Day! P.S. Make sure to enter the Urban Decay All About Eyes Giveaway! !